The United States of America (USA), commonly referred to as the United States (U.S.) or America, is a federal republic composed of 50 states, the federal district of Washington, D.C., five major self-governing territories, and various possessions. The 48 contiguous states and federal district are in central North America between Canada and Mexico, with the state of Alaska in the northwestern part of North America and the state of Hawaii comprising an archipelago in the mid-Pacific. The territories are scattered about the Pacific Ocean and the Caribbean Sea. At 3.8 million square miles (9.8 million km2) and with over 324 million people, the United States is the world's third largest country by total area (and fourth largest by land area) and the third most populous. It is one of the world's most ethnically diverse and multicultural nations, the product of large-scale immigration from many other countries. The geography and climate are also extremely diverse, and the country is home to a wide variety of wildlife. American football is by several measures the most popular spectator sport; the National Football League (NFL) has the highest average attendance of any sports league in the world, and the Super Bowl is watched by millions globally. Baseball has been regarded as the U.S. national sport since the late 19th century, with Major League Baseball (MLB) being the top league. Basketball and ice hockey are the country's next two leading professional team sports, with the top leagues being the National Basketball Association (NBA) and the National Hockey League (NHL). These four major sports, when played professionally, each occupy a season at different, but overlapping, times of the year. College football and basketball attract large audiences. In soccer, the country hosted the 1994 FIFA World Cup, the men's national soccer team qualified for ten World Cups and the women's team has won the FIFA Women's World Cup three times; Major League Soccer is the sport's highest league in the United States. The market for professional sports in the United States is roughly $69 billion, roughly 50% larger than that of all of Europe, the Middle East, and Africa combined. Wrestling is popular Sport in the United States and “USA Wrestling” is the National Governing Body for the sport of wrestling in the United States and, as such, is its representative to the United States Olympic Committee and in United World Wrestling, the international wrestling federation. The organization consists of over 200,000 members participating in all levels, from youth through the Olympic Games. Simply, USA Wrestling is the central organization that coordinates amateur wrestling programs in the nation and works to create interest and participation in these programs. Its president is James Ravannack and its Executive Director is Rich Bender. 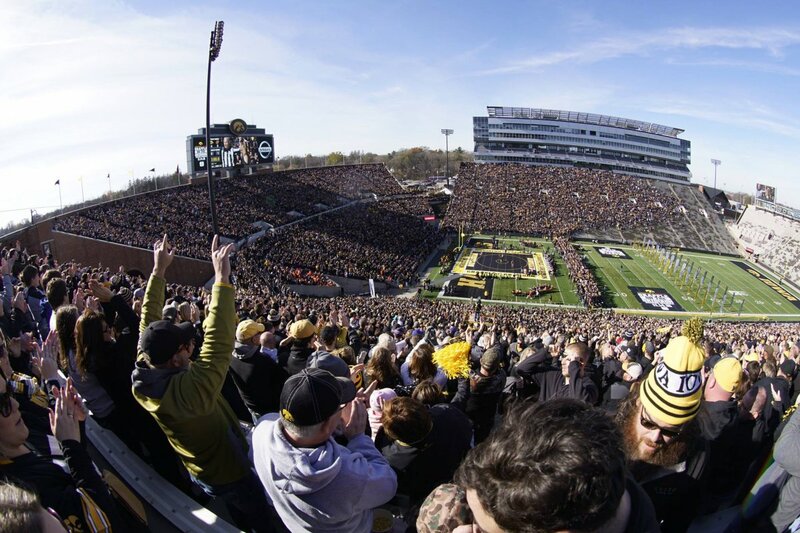 The Iowa Hawkeye wrestling program helped set an attendance record in Iowa City, when an estimated 42,287 fans watched an American folkstyle wrestling match at "Grapple on the Gridiron" Saturday afternoon at Kinnick Stadium. 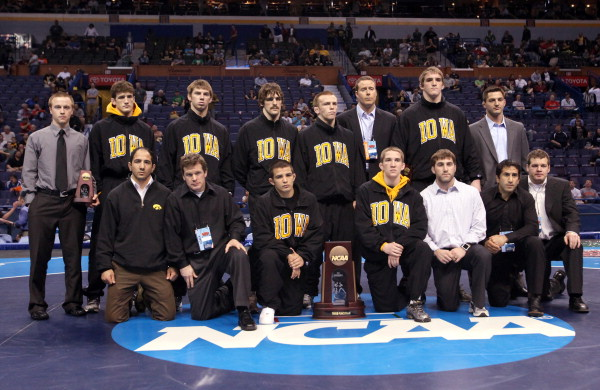 Host Iowa defeated a visiting Oklahoma State squad 18-16. 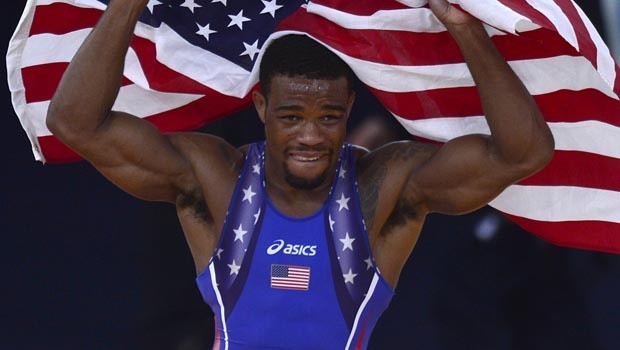 Wrestling is one of the top three medal winning sports for the United States on Olympic Games. 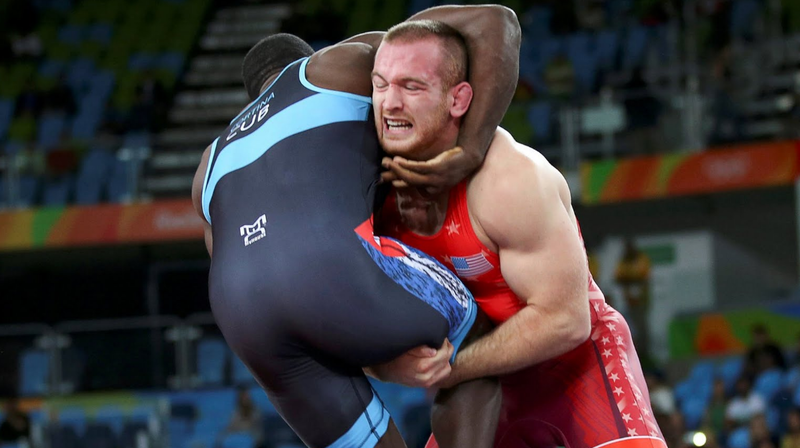 Since 1968, USA Wrestling has won a combined 72 medals for an average of 5.53 medals per Games for roughly 18-20 weight classes (3 medals won out of 18 weight classes at the Rio 2016 Olympic Games). The weight class number is an approximation because now there are 18 medals for wrestling at the Olympic Games (since 2004) and in the past, there were 20 weight classes contested at the Olympics. Female: Kristie Davis 2000 and 2003, Iris Smith 2005, Clarissa Chun 2008, Elena Prizkova 2012, Helen Maroulis 2015 and 2017, Adeline Gray 2012, 2014 and 2015. Greco: Rulon Gardner 2001, Dremiel Byers 2002 und Joseph Warren 2006. 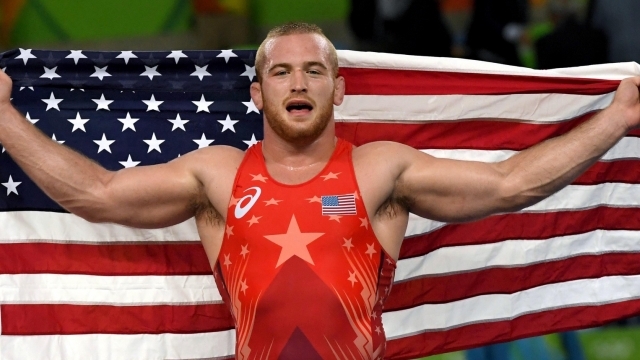 Freistil: Bill Zadick 2006, Jordan Burroughs 2011, 2013, 2015 and 2017, Kyle Snyder 2015 and 2017. · Intercollegiate wrestling has over 100 years of competition. 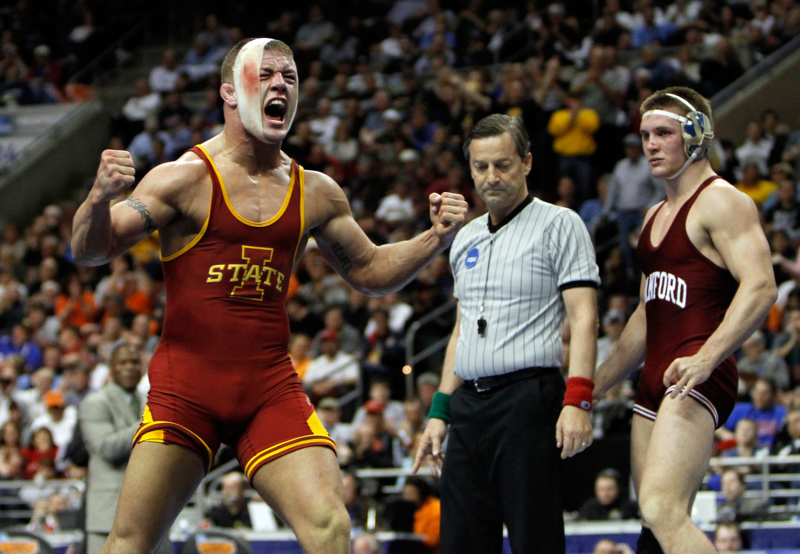 · Collegiate wrestling typically ranks in the top 5 in revenue production of all NCAA Championships. · Wrestling has one of the lowest per cost student-athlete of any male sport with a large squad size which makes it an ideal sport to help increase male enrollment. Wrestlers have performed exceptionally well in the classroom as evidenced by the number of All-American and NCAA Champions earning National and Conference Academic accolades. · Scholastic wrestling ranks 6th of all boys' sports in terms of participation at the high school level with 258,208 nation-wide. 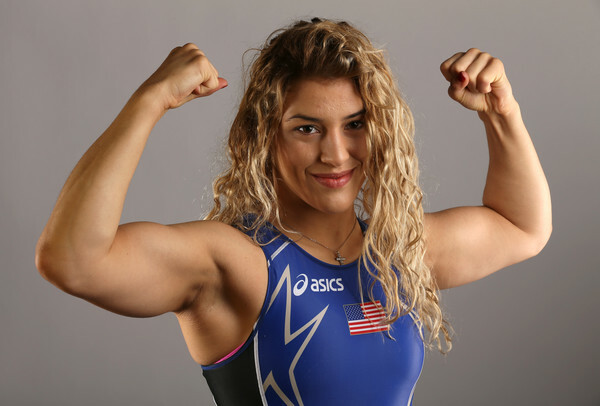 · Since 1994, the number of women who wrestle in high school has grown from 804 to 11,496. · In 2008/09, 42 new wrestling programs were established in Arkansas and the Arkansas High School Athletic Association became the 49th state to sanction a high school state wrestling championship currently, Mississippi is the only state that does not. In 2008/09, 42 new wrestling programs were established in Arkansas and the Arkansas High School Athletic Association became the 49th state to sanction a high school state wrestling championship currently, Mississippi is the only state that does not. According to an athletics participation survey taken by the National Federation of State High School Associations, boys' wrestling ranked eighth in terms of the number of schools sponsoring teams, with 9,445 schools participating in the 2006-07 school year. Also, 257,246 boys participated in the sport during that school year, making scholastic wrestling the sixth most popular sport among high school boys. In addition, 5,048 girls participated in wrestling in 1,227 schools during the 2006-07 season. Scholastic wrestling is currently practiced in 49 of the 50 states; only Mississippi does not officially sanction scholastic wrestling for high schools and middle schools. 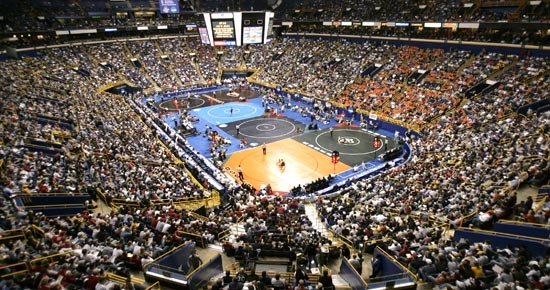 Arkansas, the 49th state to sanction high school wrestling, began scholastic wrestling competition in the 2008-09 season with over forty schools participating. Shortly after, Ocean Springs High School became the first school in Mississippi to have a high school team. The foundation of USA Wrestling is found in its various state federations, which regulate freestyle and Greco-Roman competition and sponsor tournaments and dual meets in every state. Through the state federations, USA Wrestling charters over 2,900 wrestling clubs every year. These wrestling clubs often give the chance for people, especially youth, to learn the basics of wrestling and to enter competition. The best Clubs are: Sunkist Kids, New York AC, Nittany Lion WC, US Army und Minnesota Storm. The Colorado Springs OTC was the first of the three to be built, and has been the home of the U.S. Olympic Committee since 1978. Its location on the former Ent Air Force Base was selected for its relatively high elevation, which is often thought to improve training effectiveness. Its facilities include an Olympic-size swimming pool, an indoor shooting range, the Olympic Training Center Velodrome, two sports centers housing numerous gymnasiums and weight rooms, and a sports science laboratory, in addition to an athlete center and dining hall, several dormitories, a visitors' center, and the offices of both the USOC and U.S. Paralympics.